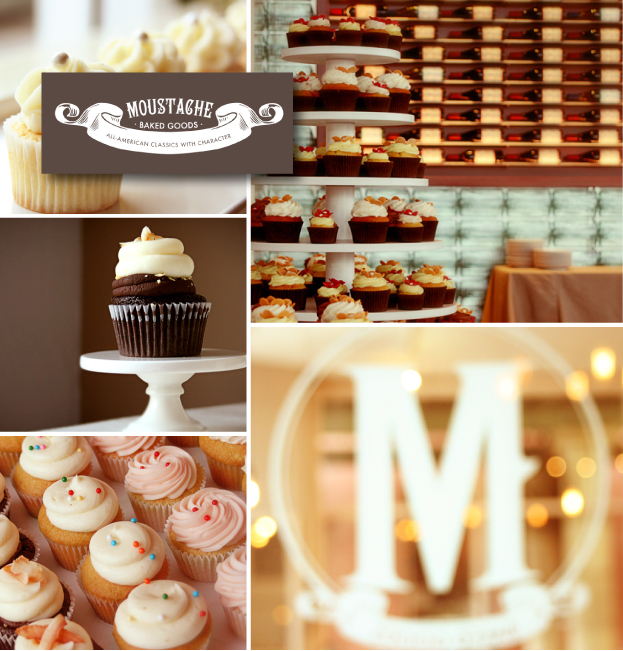 Moustache Baked Goods is located in Healdsburg, California. We specialize in unique cupcake dessert displays for cupcake weddings and the like. Our fine purveyors help us bring to you a cupcake & desserts unlike any other. Only here in Sonoma Wine Country are we able to truly foster great relationships that translate directly to the cupcakes & desserts we create. We have partnered with incredible farms and organizations such as Fourbarrel Coffee, Preston Vineyards Farms,Farmhouse Inn & Restaurant, Merchants & Millers Olive Oil, Dry Creek Peach and Produce and Dandelion Chocolate. All of these great partnerships help us provide you with one of the best cupcakes you’ve ever had. Come by our store in Healdsburg and see how a craft cupcake is truly made.